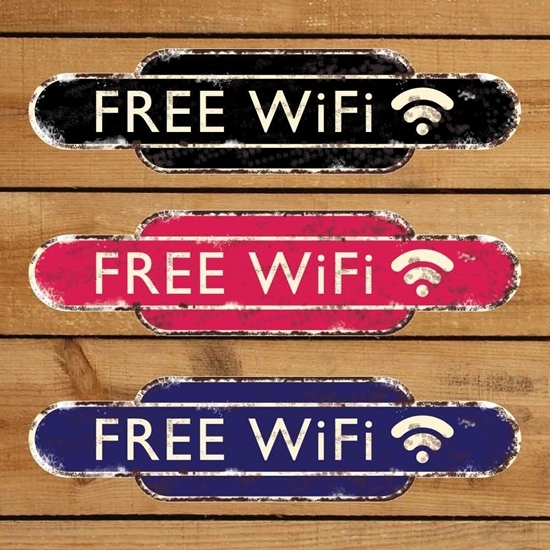 This vintage style sign is the perfect way to advertise FREE WiFi. 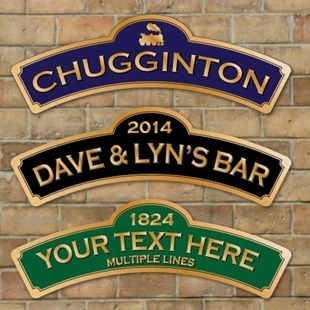 The sign is printed in the style of a traditional old English railway station totem sign, this design has a weathered old effect look. 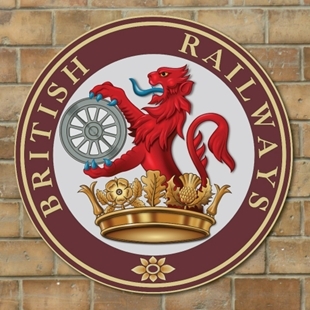 Metal effect traditional style railway plaque. 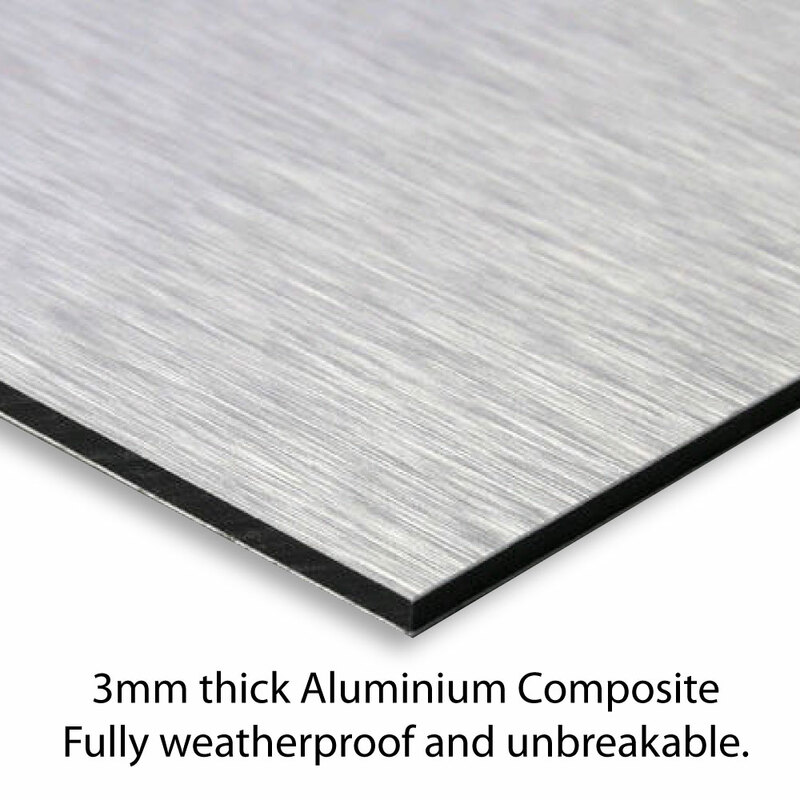 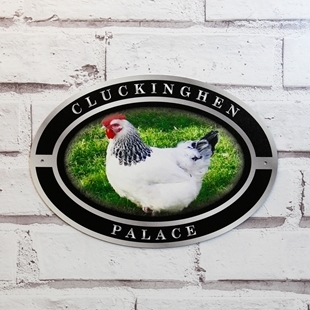 Traditional oval house sign, with any image or logo you like added to the plaque. 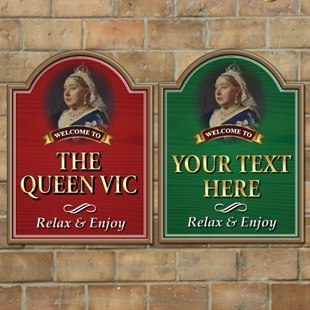 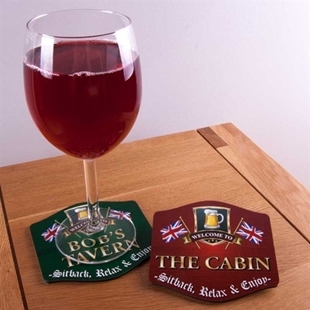 SP-00070 - Personalised Queen Vic Pub Sign with a choice of colours and sizes.